Unlike email, SMS hasn’t been over-used by spammers, and, unlike app notifications, an internet connection isn’t required to receive text messages. 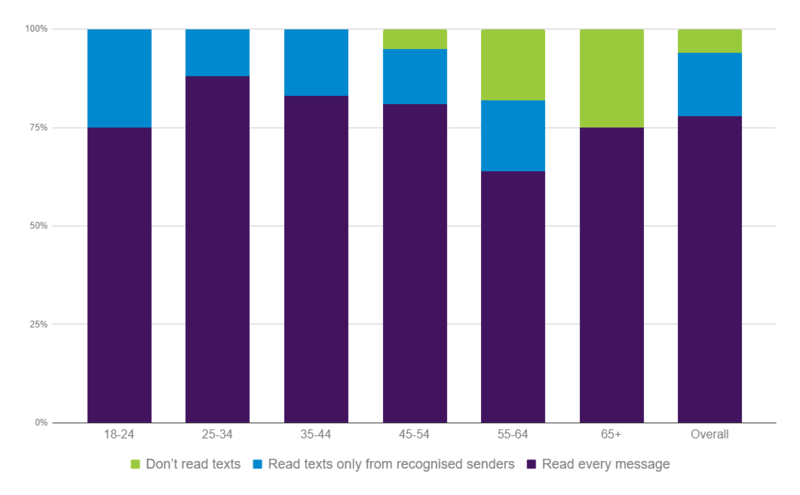 So it’s unsurprising that the open rate for SMS has been consistently reported as very high. No, I don’t read text messages. 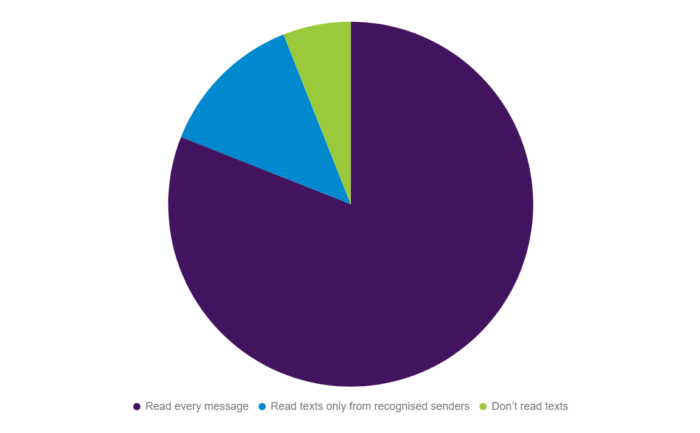 Grouping people who’ll read texts if they’re familiar with the sender with people who’ll read every text, regardless of its origin, the global average open rate of SMS is 94%. 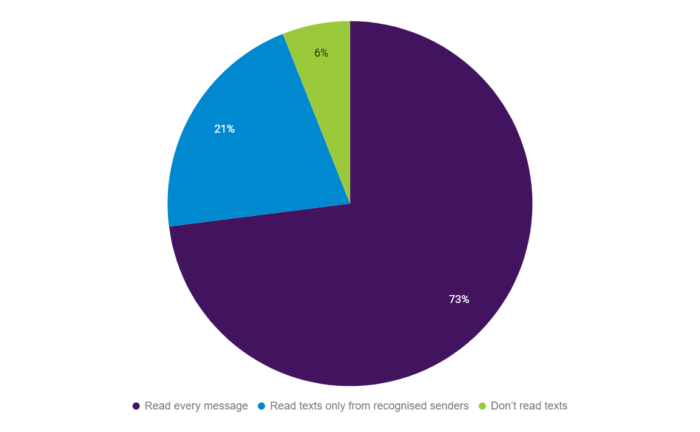 The UK analysis shows us that, across the board, an overwhelming number of respondents will read SMS (95% open rate), but in order to make sure your messages get the widest reach, it’s advisable to use a Sender ID to showcase your brand. 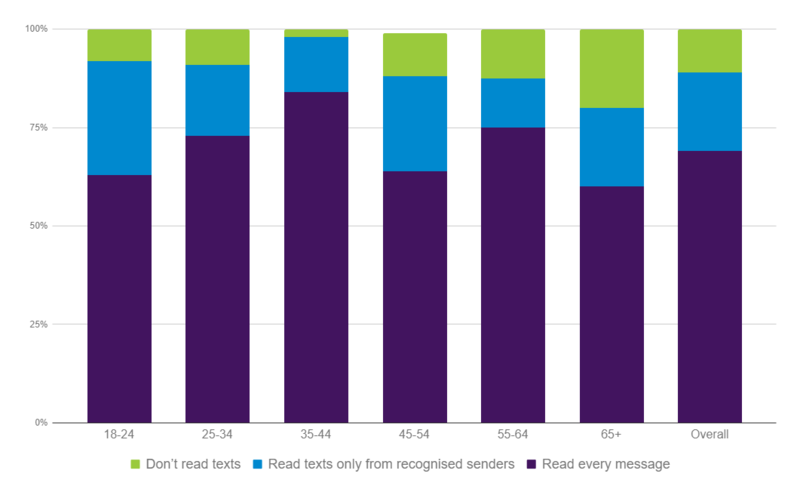 It’s interesting to see that the number of respondents who want the sender clearly identified increases with age; millennials are thought to be less trusting than previous generations, but this research indicates that that’s a generalisation that doesn’t necessarily serve your business needs. The French overall response rate was very similar to the UK, with a 96% open rate, but less of a clear trend between generations. Spain shows a bit of a departure from the UK and France, with an 89% open rate, and a greater tendency for the young to want to know the sender of the message. Except for Ireland, Australia has the highest number of people who open every message, regardless of sender. The overall open rate for SMS in Australia is 94%. We had a more limited response to our survey on the Irish website, so decided not to report the age demographics here because of less thorough representation. 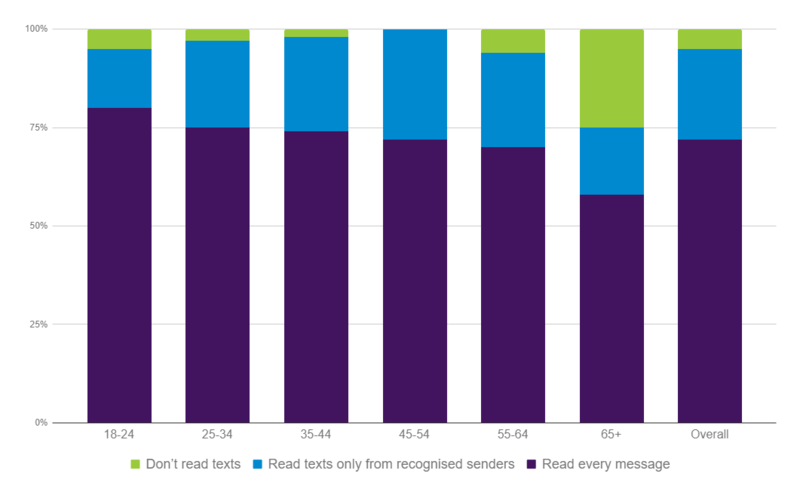 Ireland boasts the highest proportion of respondents who will open every text message, regardless of sender, at 81%. The overall SMS open rate for Ireland is 94%. The SMS open rate summary is an overview of the research shared above. However, this also looks forward and asks, what does the future hold for SMS? 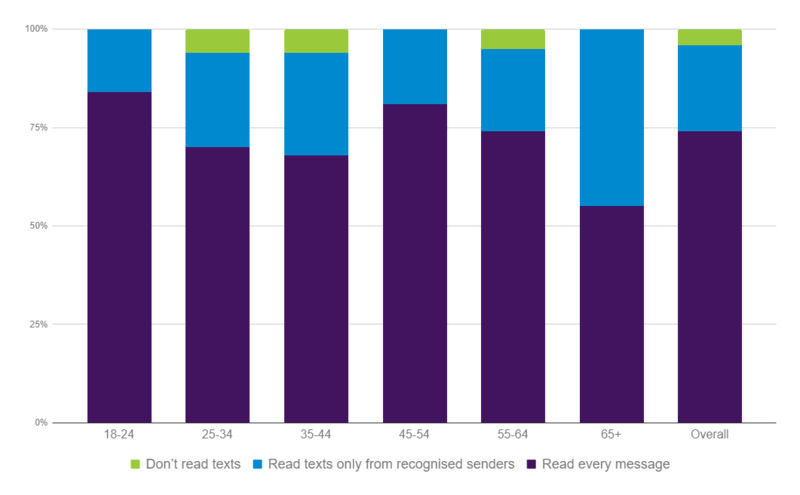 Hopefully this data will help to inform your SMS campaigns, whether they’re operational or promotional. If you’d like any more information on our data sources and methodology, please get in touch (marketing@esendex.com / 0345 356 5758). *We filtered out respondents whose IP address identified them as not being located in the country in which we were gathering data.